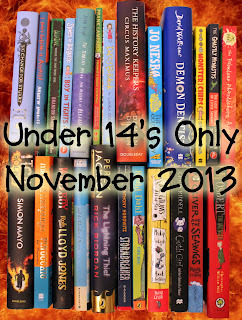 YA seems to get all of the press but there are so many great books for younger readers being published every month. 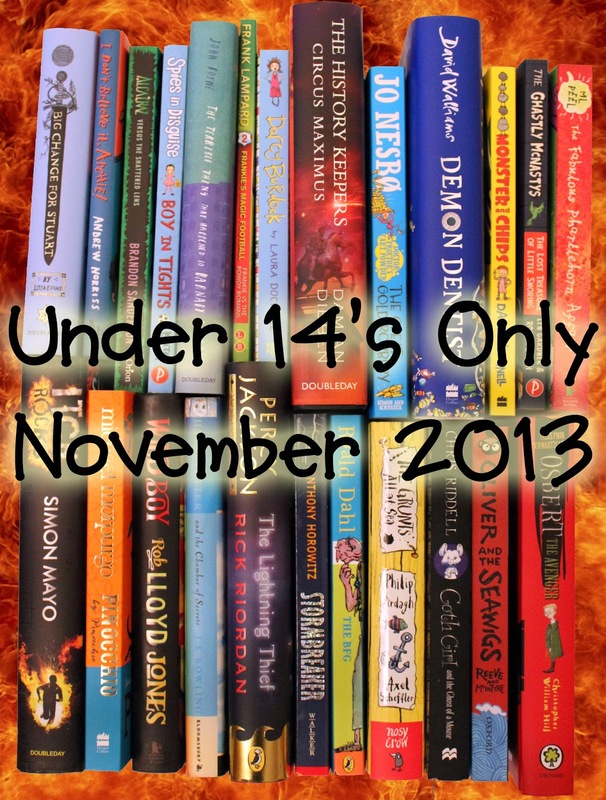 I have therefore decided to dedicate my November blogging to books for U14s (aka Middle Grade and below). I will explain more in my first post of November, but I'm currently looking for any authors, publishers or book bloggers who might be interested in taking part. Do you have a favourite U14 book from your childhood that you want to write about? Fancy writing a review for a recently published book that you have loved? Perhaps you might just want to tell the world why you love books for this age group? Pretty much anything goes as long as it fits the theme. if you're interested please tweet me or email me at the usual address. This story needs little introduction as it is the book that Alex Rider fans have been waiting for years to read. It is the origin story of one of the AR series' most interesting and enigmatic characters, Yassen Gregorovich, assassin for hire and ruthless, cold-blooded killer. The story is largely told in the first person, with Yassen reading through a journal he has kept for many years, to kill time before he sets out to complete his latest mission - the assassination of Alex Rider. The story takes us from the violent events that led to Yassen (or Yasha as he was originally called) fleeing from his village, through his time enslaved to a Moscow gangster and then on to his creation as a tool of destruction for Scorpia. We are also treated to the long-awaited first meeting with Alex' father, John Rider, and the relationship that developed between them. I genuinely feel that this is the best Anthony Horowitz book I have read to date. I was 29 when the first Alex Rider book, Stormbreaker, was published in 2000, but that didn't stop me from picking it up and absolutely loving it. 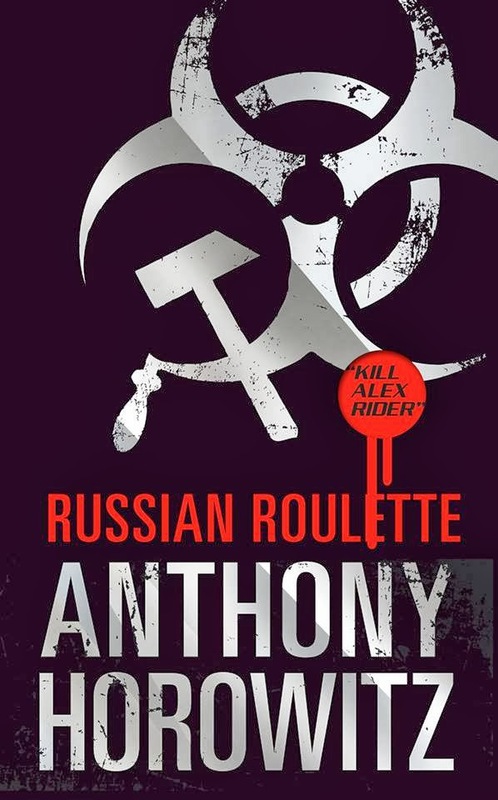 If I'm honest, I have to credit Anthony Horowitz, along with JK Rowling, as being responsible for my current love of YA and children's literature, and therefore this blog. Reading the early Harry Potter books and Stormbreaker and its sequels, prompted me to seek out other books for this age group, and suddenly my reading, which up to this point had been largely adult, was changed for ever. 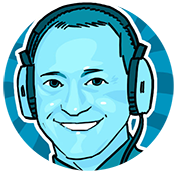 Like most readers and movie lovers I have always been a fan of a well-created, interesting villain, and I have held Yassen Gregorovich up there with the likes of Darth Vader, Voldemort, The Joker and Miss Trunchbull. There was always those big questions left unspoken at the end of Stormbreaker - why did Yassen not kill Alex? And why the salute as the helicopter flies off? Finally, in Russian Roulette, Anthony Horowitz provides the answers. We all know that Horowitz is one of this country's greatest writers for young people, so what makes this book so special? Firstly, this must have been one of the hardest books for Anthony to write - not only was he writing a book for long time fans of Alex Rider, most of whom will be in their 20s at least by now, but he also had to make it appealing and suitable for young people who are at an age to pick up his books for the first time, kids who may not yet have discovered the Alex Rider books. 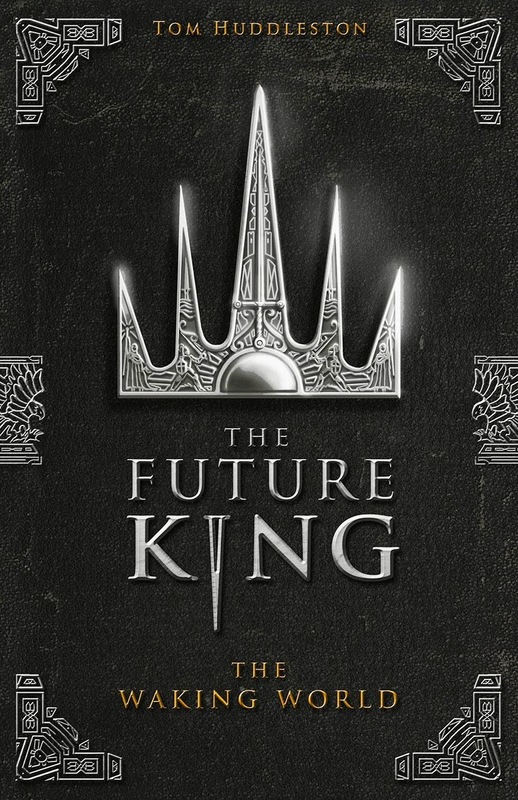 He achieves this in two ways: as well as being the kind of fast-paced action story that we have come to expect from the main series, there is also a great depth to this story, allowing older readers to dwell on the many moral questions that are posed by Yassen's story. This book would make such a great class reader in schools, as it would encourage students to debate over the rights and wrongs of Yassen's actions, as he grows into the adult assassin. Sadly, there will be schools where this will never happen, and it may even get banned in some libraries and schools (more likely in the US than over here) as blinkered adults make uninformed judgements about it being a story that glorifies the life of a contract killer. It isn't and it doesn't. End of! However, for me the book's greatest achievement is in the way the author allows the reader to empathise with Yassen, without ever feeling guilty for rooting for a character who will become a vicious killer. We actually find ourselves wanting him to succeed, as we are able to see every event, however seemingly minor at the time, that leads to the creation of the final product. This is a boy who faces horrors that no child should ever have to face, and in comparison Alex Rider's life seems one of privilege. Last week we were incredibly fortunate to be able to welcome John Boyne into school. During his presentation to our Year 8 pupils, he mentioned in answer to a question that he felt that there was very little (if any) rubbish being published for young people these days, whereas there was a huge amount of rubbish being published for the adult market. I found myself nodding enthusiastically in agreement - if more adults picked up books like Russian Roulette, or one of the many other brilliant books I have read in 2013, they might find their reading diets shifting quickly to YA, just like mine did back in the early 2000s. Sadly though, especially I think amongst male adult readers, there is this stigma against being seen with a book written for teens, and they would much rather continue reading tosh written for the adult market. My thanks go to the lovely people at Walker Books for sending me a copy of Russian Roulette. *** News: Steve Cole to take on Young Bond. This morning it has been announced that Steve Cole has been selected by Ian Fleming Publications Ltd. to write four books in the Young Bond series. These books will pick up the story of the young James Bond where Charlie Higson's By Royal Command left off, and I am more than a lot excited about this news. Steve Cole is one of this country's hardest working and most prolific writers for children and I think the future of Young Bond is in a very safe pair of hands. ‘A thrilling privilege and an exciting challenge.’ Steve Cole to take on Young Bond. 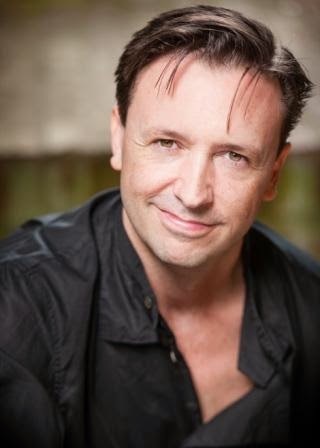 Random House Children’s Publishers (RHCP) are delighted to announce that Steve Cole has been selected by Ian Fleming Publications Ltd., the Fleming family-owned company, as the author of a new Young Bond series. RHCP have acquired UK and Commonwealth rights in four titles from Jonny Geller at Curtis Brown on behalf of Ian Fleming Publications Ltd. and Curtis Brown will represent all foreign rights. The author to accept this exciting mission is DOCTOR WHO and ASTROSAURS author, Steve Cole, has sold over three million copies of his RHCP books in the UK. These new titles will pick up where Charlie Higson – the writer of the previous wave of Young Bond titles – left off and will follow teenage James in the aftermath of his expulsion from Eton. This time in Bond’s life has never been explored before and readers can expect all the thrills, action, glamour and tension that are the essential ingredients of a classic Bond adventure. Cole’s first Young Bond novel will launch with a dynamic marketing and publicity campaign in Autumn 2014. It will be published in hardback on RHCP’s highly respected Jonathan Cape children’s imprint. Pen's life is all about secrets: the secret of the city's spirits, deities and monsters her best friend Beth discovered, living just beyond the notice of modern Londoners; the secret of how she got the intricate scars that disfigure her so cruelly - and the most closely guarded secret of all: Parva, her mirror-sister, forged from her reflections in a school bathroom mirror. Pen's reflected twin is the only girl who really understands her. Then Parva is abducted and Pen makes a terrible bargain for the means to track her down. In London-Under-Glass, looks are currency, and Pen's scars make her a rare and valuable commodity. But some in the reflected city will do anything to keep Pen from the secret of what happened to the sister who shared her face. Parva Khan (aka Pen) did not have a particularly happy time in The City's Son. Being bound in 'living' barbed wire is never going to be a particularly pleasant experience for anyone, but for a teen girl who is now heavily scarred, both physically and psychologically, it is pretty much social suicide. Yes, she can keep the playground hounds at bay for a while, with wild and imaginative lies about where she was and how her face became damaged, but there will always be a couple of her peers who are not satisfied with her stories, and unfortunately for Pen these ones are the leaders of the pack. With her best friend Beth forever changed by magic of Johnny Naphtha and the Chemical Synod, Pen's only escape from the trials of school is the girls' bathroom in a disused part of school. There she spends hours in front of the mirror, not crying over her disfigurement, but conversing with her reflection. Naturally, this being a Tom Pollock book this is no mere mirror-image of Pen, she is instead talking with her mirror-sister in London-Under Glass, known as Parva throughout the story to differentiate her from Pen and avoid confusion. However, when Parva is suddenly no longer there on the other side of the mirror, and a pool of blood on the bathroom floor suggesting foul play, Pen decides the only course of action is to somehow find a way into London-Under-Glass. Pen soon discovers that this place, although a reflection of London, is very, very different. It's a place where Pen's imperfect face is celebrated, with young people queuing to have similar scarring added to their own faces. It is a city where corruption and elitism reign supreme and Pen soon finds herself not only trying to track down Parva, assuming she is still alive, but also battling against the twisted society she finds there. I loved The City's Son and named it my Book of the Year for 2012. I waxed lyrical about it in my review last year and have been recommending it to as many people as possible. If I now told you that The Glass Republic is even better than its predecessor then you might begin to understand why I have been finding it very difficult to write a review for it. I've started this review countless times since I read the book back in August, but every time I find myself struggling to find the words to do it justice. Tom Pollock is such a gifted writer that any words I put down about his work seem amateurish and clunky and books like this really highlight my shortfalls as a reviewer. The City's Son was on a par with Gaiman. 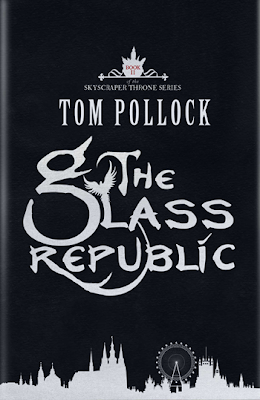 The Glass republic is BETTER than Gaiman. A bold statement given the god-like status attributed to Neil Gaiman by his legions of fans around the world, but a statement that I was very much in agreement with. Comparisons with Gaiman are hard to avoid for me, especially given that Neverwhere is one of my all time favourite books. In fact, having since read The Ocean at the End of the Lane, and found it very disappointing and way below par (yes, I know that is a risky thing to say as I have seen a few critical reviewers flamed by upset fans) I am even more comfortable with the initial pronouncement of this being better than NG. After much agonising about this review, and much deleting and rewriting, I have decided to keep my words to a minimum. This book is best read with as little prior information as possible. I started reading this book without having read any other reviews, thinking I knew what I would be getting. After all, The City's Son was so unique that surely this would be more of the same (i.e. stunning prose, mind-blowing imaginative writing, great characters, etc). I soon discovered that I was only part right in this assumption - The Glass Republic is all of this but even more. It is a truly beautiful read, and calling it urban fantasy almost seems to do it a disservice as it is head and shoulders above all YA (and most adult) urban fantasy that I have ever read. It almost demands a genre title of its very own. Beth was a great character in The City's Son, and Pen was very much in the background, but although this is a sequel to TCS, it is very much Pen's story. Beth does make an occasional appearance, as do a host of characters & 'entities' from the previous book, but this story is all about how Pen interacts with them. She is very, very different from Beth, and will probably become the series favourite for many readers. This review ends with a word of warning: this is the second book in the trilogy and therefore the ending may upset some readers as it not only doesn't tie up a lot of loose ends, it also finishes on something of a jaw-dropping cliffhanger. My thanks go to the lovely people at Jo Fletcher Books for sending me a copy to read. Teen Emma Rhodes is carrying a great deal of baggage as she blames herself for the death of her younger brother some time earlier, a tragic event that went on to tear her family apart. She still lives with her father in Milton Lake, but her mother is no longer on the scene. Milton Lake itself has its own tragic past - some years earlier one of its residents massacred a number of people at the town's amusement park that he owned before ending his own life. As part of a 'gang' initiation rite, a friend of Emma's enters said amusement park, and is carried out in pretty much a catatonic state. It seems as if something evil has arrived in Milton Lake, summoned by a mysterious machine that can be used to open the gates for desperate spirits to re-enter our world in the search of new hosts so that they can live again. It is down to Emma and Nick, the mysterious new kid in town, to find out who has got their hands on this machine before too many spirits cross over and take the lives of Milton Lake's residents. Anybody who has been following this blog for some time will know that I am a huge fan if William Hussey's Witchfinder trilogy. I have therefore been champing at the bit to read this ever since I last met William at an event and he gave me a basic idea of what the story was about. I never read much horror before starting this blog, only occasionally dipping my toes in those waters, but over the past few years horror as probably become my favourite genre within YA fiction, and lovers of this genre pretty much spoiled for choice these days. Love gore? Try Darren Shan or Charlie Higson. Heart-stopping action horror? Go for Will Hill or Alexander Gordon Smith. Spooky, psychological thrills more your thing? William Hussey's Haunted is more than worth your time. I took it to Prague with me when my wife and I visited the city for a few days in the summer, and there was many a moment when she would be impatiently tapping her foot or tutting, desperate for me to put the book down and venture outside to see the sights. And putting it down was something of a challenge as I was hooked from beginning to end. Of course, if you are a gore fan then you should not simply dismiss this book - if you have read any of William's previous books you will know that he likes to include a bit of the old red stuff (case in point - look what happened to poor Jake Harker's mother in the first Witchfinder book), and there are a number of these moments splattered throughout Haunted. However, it's main strength is very much its sheer creepiness, and its ability to make your skin crawl with terror. 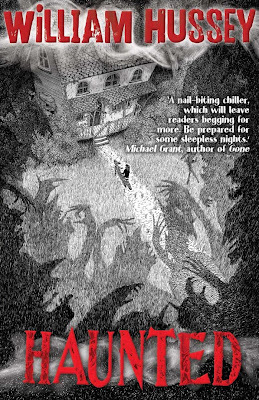 As was the case with William's previous books, Haunted is very well written, with the plot perfectly paced to keep teen readers turning the pages. There are also the requisite plot twists that all good stories like this should have, and although I do pride myself on my ability to work out twists in books, there were enough in Haunted to keep me guessing right up until the final denouement. The main characters of Emma and Nick are very likeable, although it did take me while to gel with them. I think this was because of the way in which the author developed them as the story progressed, by drip feeding little bits of information and hints about their troubled pasts, and it is only when they are slap bang in the thick of the action, with their lives at risk, that we truly start to empathise with them and fear for their safety. In fact, by the end we are on something of an emotional roller coaster ride, but to say any more about that would create spoilers. The supporting cast are somewhat B-movie-ish (made up term), adding to that overall sense of creepiness that pervades throughout the story. Haunted was published by OUP (thank you for my copy, generous publisher people) at the beginning of September, and if you love YA horror then it is a must-add for your collection. I was addicted to books when I was young. A lot of it was down to my parents, who were both big readers themselves. But my biggest influence was undoubtedly my older sister Sarah, to whom ‘The Waking World’ is dedicated. She loved fantasy and historical stories, authors like Susan Cooper, Rosemary Sutcliffe, Alan Garner, Diana Wynne Jones, Nicholas Fisk, John Christopher and many, many others, all of whom fed directly into my own writing. Here are five (actually six) books that made a major impression on me when I was young. I have to start here. TH White’s book was not only one of my favourites when I was a boy, it was also the biggest single inspiration on ‘The Waking World’. This book is funny, it’s exciting, it’s unpredictable, and it’s so beautifully written. The characters are just amazing, from the heroic, ever questioning Arthur to the wise but kindly Merlin, from the bratty but essentially decent Kay to the hilarious, bantering older knights Ector and Pellinore. The images just explode in your head – the scene where Arthur first attempts to take the sword from the stone, and the whole living world around him bows low to listen, might be my favourite passage in literature, it’s just so gripping and strange and mystical. This was the other big influence on ‘The Waking World’, as it has been on every fantasy book written in the past 50 years. I read ‘The Lord of the Rings’ for the first time when I was about 13, and I didn’t leave the house for a whole weekend. I was completely swallowed by it. I know people who think it’s too long, too detailed, too grand. I think they’re mad. Everything in this book feels lived-in, you know the history of every race and every sword and every rock. That adds so much to the story – compare it to something like the Narnia books where, when the kids need weapons, Santa Claus just magically appears and hands them over. I want the worlds I read about to feel real, I want to imagine I could walk about in them, even if they’re populated by dragons and orcs and talking trees. A world that feels even more solid and ancient than ‘The Lord of the Rings’. Mervyn Peake was a poet and a painter as well as a writer, and I always loved the idea that you didn’t need to be pinned down to one artform – I write books, but I also play in a band and write about films. We’re very lucky nowadays, we have access to all these different ways of expressing ourselves. The Gormenghast trilogy – of which this is the first book – is a huge work of imagination, set in a vast rambling castle populated by the most twisted, vivid characters imaginable. Peake’s prose can be quite dense, but once you get into the rhythm of it the books are completely addictive. When I was a boy, we even named our family cat Fuchsia after the tragic teenage heroine. This is a ridiculous story which I still feel embarrassed to recall, but when I got my first typewriter for my tenth birthday (yes, I’m so old that we couldn’t afford computers in those days), I began copying out the whole of my favourite book, ‘Swallows and Amazons’. For some reason, I thought that was how books were written – it hadn’t even occurred to me to write something of my own. I got about three pages in before my mother sat me down and explained that what I was doing a) would take forever and b) was completely pointless. So I started working on my own stories instead. But still, this is a favourite book: I was born in the Lake District, and the way Arthur Ransome describes that landscape makes it feel like a place of adventure and mystery. I still feel that way whenever I go back to visit. I’ll finish with two books by Russell Hoban. ‘The Mouse and his Child’ is a story for young children about a pair of clockwork mice who are thrown on the scrapheap and end up having all kinds of wild adventures. It sounds like quite a cute, cosy idea for a story, but this is one of the most terrifying and intense and thrilling books I’ve ever read, I still get a little shudder when I think of it. The world Hoban builds is really creepy and overwhelming for the poor, helpless mice. ‘Riddley Walker’ is very different, but it was a huge influence on ‘The Waking World’. It’s set in England after a nuclear war, where the people have reverted to a kind of brutal, medieval society. That idea of a post-apocalyptic future world where little glimmers of the past still shine through fed directly into my own writing. Huge thanks to Tom for taking the time to write this for us. The Waking World is published by David Fickling Books and is due to be released on 3rd October.